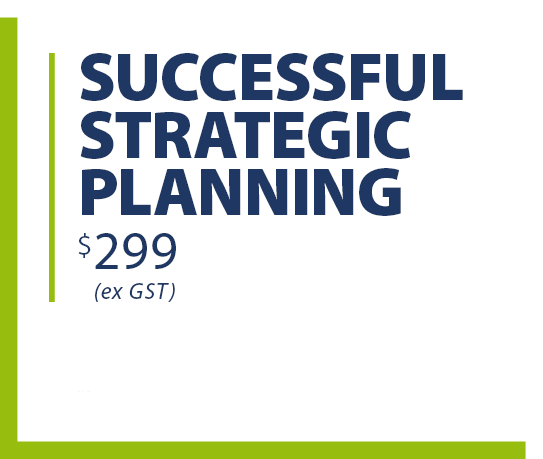 Strategic Planning can be defined as a process of defining an organisation’s strategy, or direction, and making decisions on how to properly allocate resources in its pursuit. It also covers introducing and following mechanisms for successful implementation. This workshop is designed to help your organisation achieve sustainable success in an ever changing and competitive Australian and global marketplace. It aims to equip decision-makers with practical tools and techniques needed to plan for the organisation’s future, build short and long-term value and deliver strategic outcomes.